Call for auto glass replacement! Cruz Auto Glass Center, Inc. is the oldest and most trusted auto glass company in Laredo, TX specializing in complete auto glass and commercial truck & bus solutions. Cruz Auto Glass has been widely recognized as the leaders in auto glass replacement for over 50 years. The ‘Cruz’ name is synonymous with glass, especially as it pertains to dependable service, expertise and experience with over 85 years combined. For quality auto glass service, give us a call today! Cruz Auto Glass Center, Inc. was originally established in 1960 by Ascencion Cruz and his wife Maria del Refugio Herrera de Cruz in Laredo, TX. The original firm was known as Cruz Auto Glass and Trim Shop. The headquarters was located on Lafayette Street. The company specialized in auto glass installation and auto & bus custom upholstery. Call us or visit us today for windshield replacement services! In 1963 A. Cruz moved the company to its current location on 2701 Flores Avenue. In the 1970’s the company discontinued the upholstery service to specialize in complete auto glass, auto glass accessories and as a wholesale outlet for many vendors throughout Mexico and Texas. 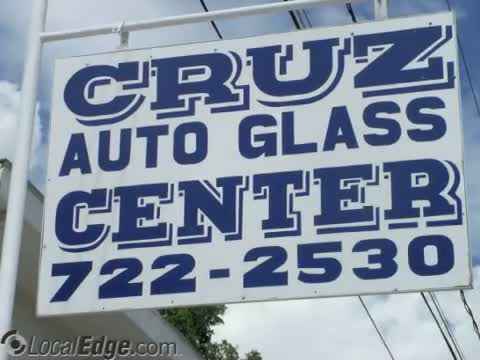 The firm’s name was changed to Cruz Auto Glass Center. The business was incorporated in 1996 as Cruz Auto Glass Center, Inc.
Maria H. de Cruz passed away in 2000 and Ascenion Cruz in 2009 leaving their daughter Clara Cruz Contreras the sole owner of the company. Clara is currently serving as President and has appointed her husband Eusebio Hector Contreras, IV. Vice-President and General Manager. Joining the firm in 2009 was Chevo who began permanent employment as the second generation of Cruz’s to work at the auto glass company. We offer professional auto glass services! Establishing and maintaining a position in the auto glass business we offer the highest quality glass available in the industry with expert and proper installations. Cruz is proud that its workforce consists of the most experienced installers in the business trained by Master Specialist A. Cruz. Our unmatched workmanship is our personal commitment to Laredo, TX. We are Laredo’s only expert cutters. Our specialties include complete auto glass, commercial truck and bus glass cutting, custom cut mirrors, door regulators and repairs, power windows and electric motors. We offer superior service, all at the lowest prices. Insurance claims and fleet companies are welcomed. Cruz Auto Glass also comes to you! Cruz Auto Glass is dedicated to their customers complete satisfaction and getting the job done right with a lifetime warranty. Your Windshield provides structural strength to your car and helps keep passengers inside the car in the event of a collision. Quality glass and proper installation in essence is strength and safety. Windshield replacement is our specialty! Our company strives to provide you with safety. It’s your decision demand the best, Cruz Auto Glass! Come and experience our unmatched workmanship and trust the auto glass specialists at Cruz Auto Glass to get you back on the road safely. Proudly serving Laredo, TX!